If you have an interest in visiting historical places all around the world, Istanbul-Athens tour by Indian Holiday is the best option for you. This tour of 7 nights and 8 days offers you a chance to explore probably the most popular destination in Turkey and Greece. You visit Istanbul- Turkey’s largest city that is also its economic, cultural and historical centre heart and then Athens-one of Greece’s the largest cities and also one of the oldest in the world. Absorb the rich culture, food, attractions and other sights and sounds of these two places. Once you arrive at the Istanbul International Ataturk Airport, meet our tour representative who helps you with an assisted transfer to your pre-booked hotel. After completing the check-in formalities, you can relax for some time. Now you are free to indulge in the activities of your interest such as exploring the surroundings on-foot, interacting with the locals, relishing the lip-smacking delicacies, visiting the popular markets and so on. Stay overnight in Istanbul. On the 2nd day of the tour, after an early morning breakfast, get a pick-up from the hotel at around 8:30 am to partake in sightseeing in Istanbul. The list of attraction includes the ancient basilica of St. Sophia-constructed in 4th century and then reconstructed in 6th century, Topkapi Palace – palace of the Ottoman rulers between 15th and 19th century consisting of famous jewels, miniatures, personal belongings of the rulers, relics of Prophet Mohammed etc, Sultanahmet Imperial Mosque or Blue Mosque that was erected during the 16th century with amazingly beautiful interiors consisting of Iznik tiles and Hippodrome- an ancient scene of chariot races. Later, you indulge in shopping at the Grand Covered Bazaar- a tangle of passages and streets with 4000 shops selling Turkish art and crafts, carpets, brassware, oynx-ware and much more. The evening is free or you can also opt from Bosphorus Dinner Cruise or Istanbul Evening Shows. Stay overnight. On day 3, post breakfast, continue your sightseeing. Pick-up from the hotel at 8:30 am. Go aboard Istanbul Bosphorus Cruise- a traditional sightseeing by boat, enjoy the amazing sights of the shoreline. You first of all see the Dolmabahce Palace then cruise along the parks and regal pavilions of Yildiz Palace. The coastal end of the park has Ciragan Palace with marble facade. Next is Ortakoy – a small beautiful village consisting of a mosque, a church and a synagogue, all at one place from centuries. The other sightings of the day include Rumeli Fortress- a beautiful military architectural masterpiece that was built by Mehmet, Beylerbeyi Palas or Palace- the former residence of Ottoman Sultans, Bosphorus Bridge – connecting the continents of Asia and Europe. Get down from the boat and visit the Camlica Hill-the highest point of Istanbul. From the top of the hill, enjoy a mesmerizing view of Istanbul, Bosporus, and the landscape of Turkish Ottoman Empire. Thereafter, you visit the Spice Bazaar or the Egyptian Bazaar. The air carries the aroma of spices and herbs. View the traditional silk weaving sills of the local women. You can also shop for souvenirs such as handicrafts, jewellery, leatherware etc. Back to the hotel for an overnight stay. Post breakfast, after check-out, get an assisted transfer to the airport to board a flight to Greece. Once you reach the airport, meet our IHPL representative who helps you with an assisted transfer to your pre-booked in Athena downtown. The rest of the day is free for you to indulge in the activities of your interest. You can explore the old Athens city-Plaka and the modern side, as well. Taste the local renditions, interact with the locals and so on. Stay overnight in Athens. On the 5th day, after breakfast, leave the comforts of your room to indulge in a city tour of Athens. Enjoy a guided tour to the major tourist attractions of city including the National Library, the Constitution Square or Syntagama, the Memorable to the Unknown Soldier and the House of Parliament. You drive past the Herod Atticus Street and the magnificent Presidential Palace. While driving towards the Acropolis, See the Hadrian’s Arch and visit the temple of Olympian Zeus. The next visit is to the Panathenaic Stadium – the site where the first Olympic Games of the modern times were held in the year 1896. 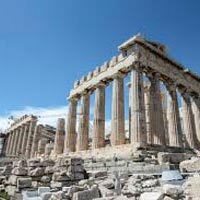 On reaching the Acropolis, you explore its Museum and the other architectural marvels of the Golden Age of Athens including the temple of Athena Nike, the Erechtheion, the Propylaea and lastly, the Parthenon. The evening is free to relax and enjoy the facilities of the hotel. Stay overnight in Athens. Once you have your breakfast on day 6, continue sightseeing in Athens. Begin driving via the fertile plants of Boeotia, passing the towns of Thebes, Arachova and Levadia. Take a halt to shop for some extremely beautiful colourful carpets and rugs. Once you reach Delphi – an archaeological site as well as a modern town. You visit the popular ancient remains of the region including the Omphalos or Navel of Earth and the remains of the Sanctuary of Apollo Pythios, erected on Mount Parnassus. 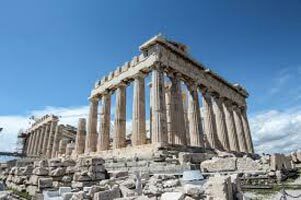 The other attractions of the day include the temple of Apollo, the Treasury of the Athenians and the Museum carrying ancient Greek sculptures, bronze Charioteer and that of Aghias, the well-known athlete. During sightseeing, enjoy your lunch at Delphi. Back to Athens for an overnight stay. Post an earlybreakfast, get an assisted transfer to the port to go on-board a day’s cruise. The ship sails at 8:15 am to explore the 3 enchanting islands of Saronic Gulf in either of the following order- Poros - Hydra-Aegina or Aegina - Poros - Hydra. After 2 hours, you arrive at Poros Island-the smallest of the 3 islands being separated by a narrow strait from peloponese. Stay at Poros is for about 50 minutes. Continue to Hydra where you reach after 1 hour and 15 minutes. Hydra, constructed like an Amphitheatre. The deck offers some great views of the mansions, stone houses and the island. Enjoy a donkey-ride to the narrow streets. You stay here for around one and hour hours. Get aboard the cruise that lands you at the island of Aegina after 2 hours. This largest of the 3 islands offers several interesting things. Back to the Piraeus port. Transfer to the hotel. Stay overnight in Athens. Today is the last day of the tour when after breakfast, you complete the check -out formalities at the hotel. Transfer to the airport to board a flight for the onward journey.